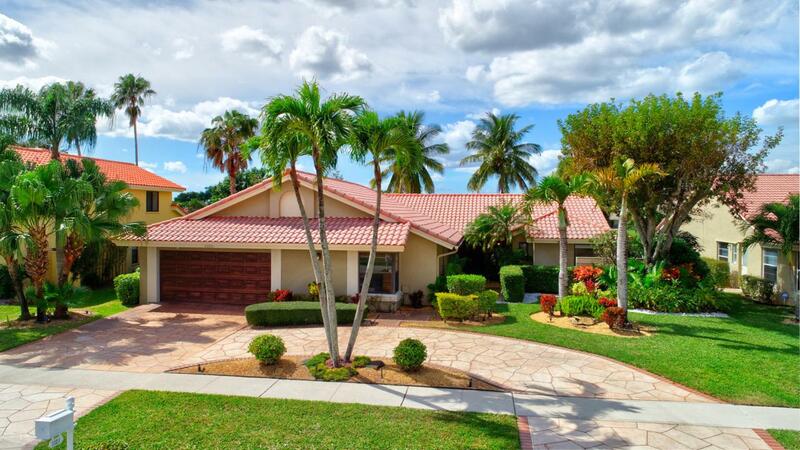 Spectacular Island Lakes Renovated Waterfront Pool Home on a Huge Lot! You Can Have it All! This Home Has Been Updated from Floor to Ceiling as You Find from Designers on HGTV. 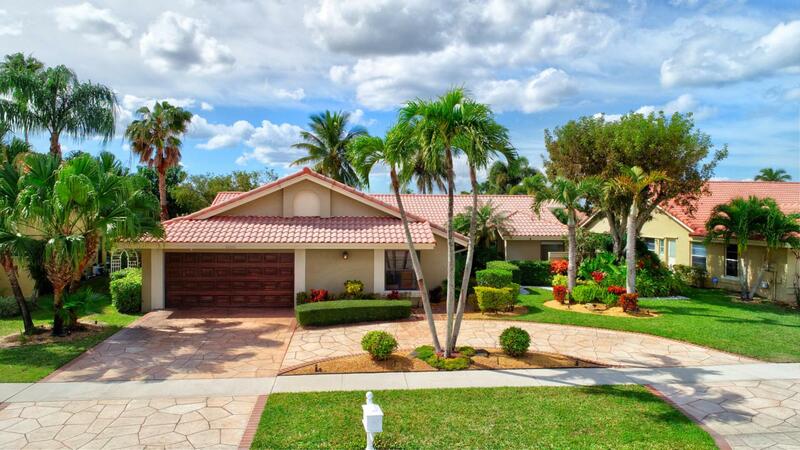 From the circular driveway w/stamped concrete, paved walkway entry has tropical landscaping & leads to double front doors. Dramatic entrance w/soaring cathedral ceilings & picturesque windows of the waterfront and sparkling pool. Enjoy the sense of openness, volume & space. Featuring large porcelain tile throughout this home, knockdown ceilings(no popcorn ceilings here-not even in the garage) & walls drenched in Ralph Lauren paint, tons recessed lighting, tons of new light fixtures and ceiling fans, crown molding, high baseboards,& more.Gourmet kitchen is exquisitely redone Featuring Quartz Siles Stone counter-tops w/breakfast bar & Island, unique stainless backsplash that blends w/the new & upgraded Stainless appliances, tons of pantry space, wine rack, plenty of cabinet storage with pull out shelving, & so much more. Closets are all customized w/high-end shelves. Master suite features huge walk in closet w/custom built in organizers. Spa-like retreat master bathroom features a whirlpool soaking bathtub and a separate shower w/rainfall shower. Quartz Siles Stone counter tops in all bathrooms and dark wood cabinets & gorgeous tile w/vessel sinks. All 3 bathrooms are super fabulous. 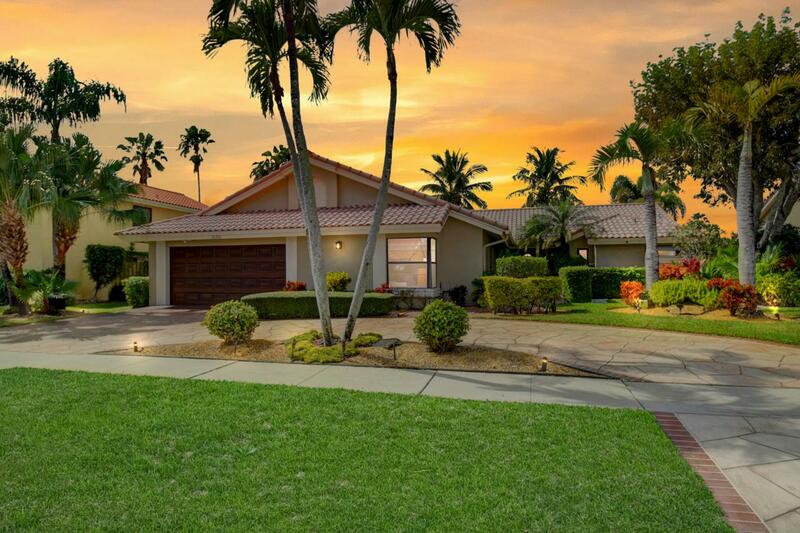 Tons of sliders & French doors all leading to the amazing tropical oasis back yard. Patio has travertine marble flooring, huge salt water pool and a new Very Special "Picture View" screened enclosure (from 2014). Where you have less columns/rearranged columns for a more panoramic view! 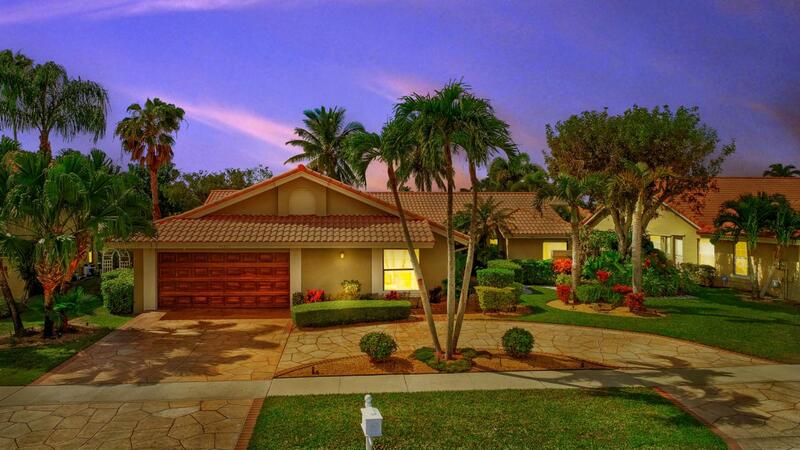 Huge lot features lush landscaping on both sides which provides privacy and serenity. Beautiful new aluminum fence that you can see through to the water. Perfect for Entertaining or Relaxing. Enjoy sunset views! New S-Tile roof from 2006. Hurricane Shutters. 2 Car Garage was freshly painted and has epoxy flooring. Large inside laundry/utility room. Pet friendly community. All ages. Amazing Schools! Island Lakes is a man gated community. Most of the furniture is negotiable.